I have been wanting to make myself a new purse for ages! 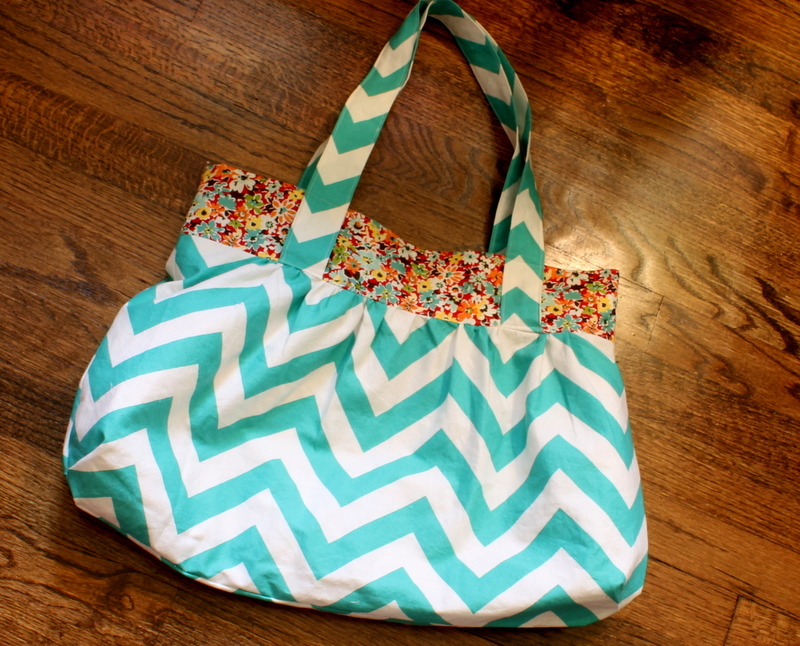 I picked up some chevron fabric and knew exactly what I wanted but couldn’t find the right pattern. A few months ago, I spent some time at Barnes and Noble looking to see if they had any good books with a pattern I liked. I found this great purse book called Bags: the Modern Classics that had just what I wanted along with tons of other cool patterns. So I headed over to the amazing Amazon that night and picked up a copy for myself. Fast forward several weeks and I have yet to make my purse! This past weekend I decided the time had come to finish my purse. I was able to finish most of it during the boys’ Sunday afternoon naps and got the rest of it finished Monday morning during Oliver’s nap. Very happy with how it turned out! Pretty must exactly as I had pictured- don’t you love it when that happens! 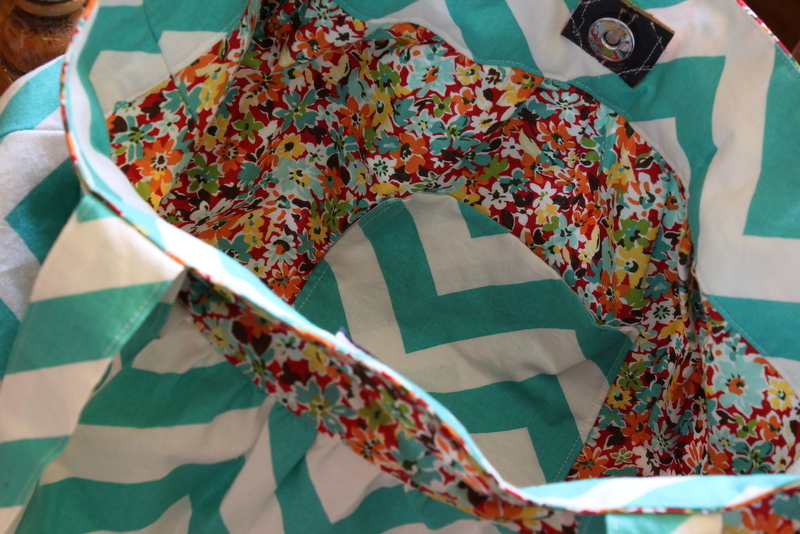 I made the Floral Bag- small sized. The pattern was very simple and straightforward- basically just a few rectangles with curved bottoms and corner darts. I will definitely keep this pattern handy and use it again. Oh and the small turned out quite large so I definitely would not recommend a large unless you want super-size. I am looking forward to using some of the other patterns in this book as presents for family and friends. It is a great resource if you want a variety of styles of bags and purses. It called for a magnetic snap and I decided to cut one out of an old purse and reuse that one. It didn’t turn out very pretty looking so next time, I will cover the old snap with new fabric. 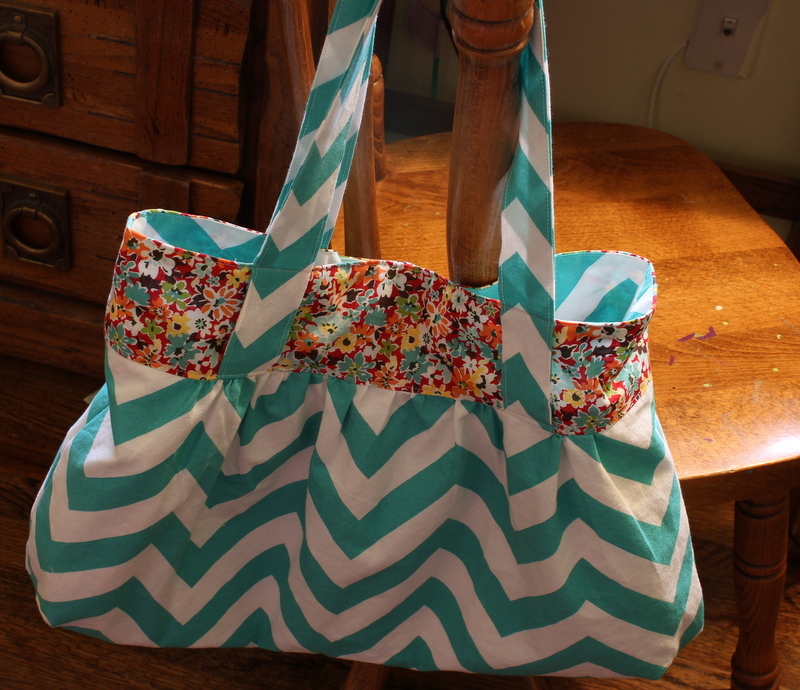 This entry was posted in Selfish Sewing and tagged chevron, chevron purse, handmade purse by oliver's fancy. Bookmark the permalink.